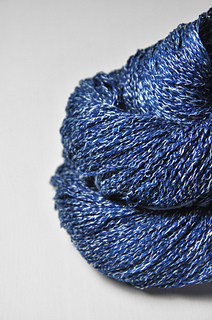 You get a slightly irregular chainette yarn with a wonderfully cool and dry grip. 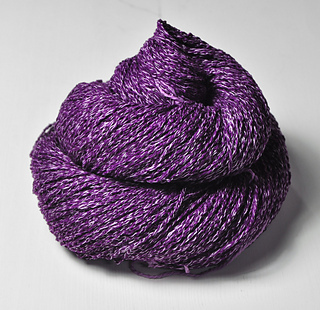 The yarn is made of a matt silk thread interwoven with thin white linen, that doesn’t take the dye. This creates a very unique, sprinkled and somewhat tweed-like appearance, perfect for summer tops, cardigans, hats and gloves.